The vineyards at Murfatlar are situated on the sunny shores of the Black Sea in Eastern Romania. A continental climate prevails with an annual average temperature of 11.5oC, and a strong influence from the vicinity of the River Danube and the Black Sea. The soils are chernozem and have a light to mild carbon and lime concentration. The altitude is about 50-100m above sea level. A medium dry wine, with bright colour and greenish-white hues. Fresh and floral, it is distinguished by grassy notes, and peach and melon flavours. Well structured, the wine keeps the balance between acidity and flavour, having a fresh and elegant aftertaste. 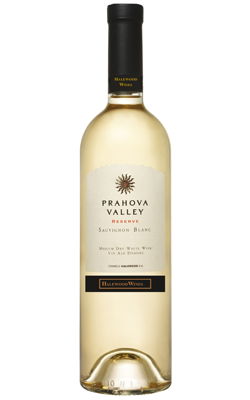 Serve our Sauvignon Blanc as an apetizer or with seafood, cheeses, vegetables, or white meat dishes (fish or chicken).